“The world has changed dramatically in the 45 years that Barrington resident Paul J. Arno has served the community at John’s Barber Shop in Audubon. Yet the opposite is true inside this neighborhood fixture where longtime customers drop in for a haircut and are met with a warm welcome and a rare form of camaraderie. Click for the full story from CPSJ. 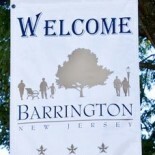 This entry was posted on April 18, 2012 by Barrington Bulletin in Region.